There’s zucchini…and then, well, there’s ZUCCHINI (see photo). This popular variety of summer vegetable is light, refreshing, versatile and delicious. 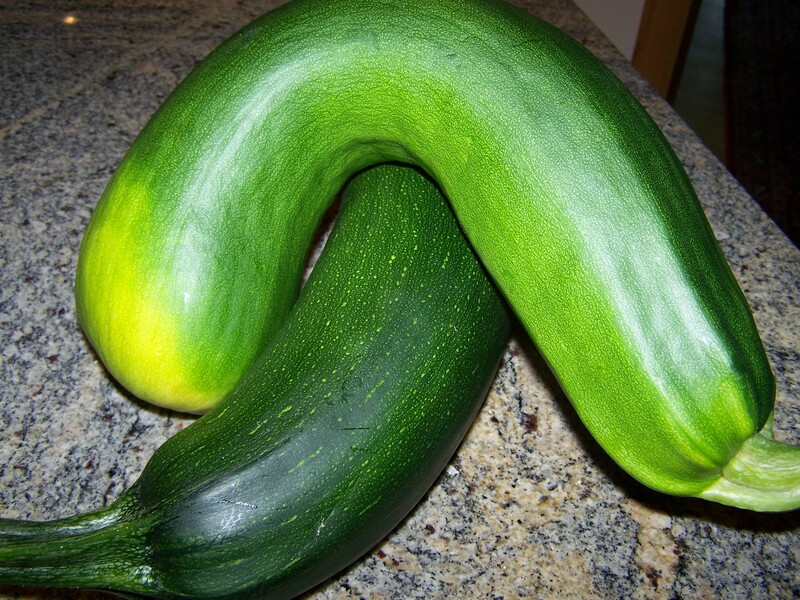 Zucchini is easy to grow in a home garden….and boy, does it grow. Summer squash is in peak season early in the summer but home gardeners may not harvest it until mid-summer or later. Eating produce in-season ensures fantastic flavor and lower prices. Late summer and early fall is not time to wind down your trips to the farmer’s markets, but to kick it into high-gear as August is a big harvest month. Summer squashes are relatives to winter squashes, such as pumpkins as well as melons and cucumbers. They belong to the Cucurbitaceae family of plants. Zucchini has a soft shell and creamy white flesh. In terms of selection, choose firm zucchini (free of blemishes) with a shiny, slightly prickly green skin. Store in a plastic bag in the refrigerator for 4 to 5 days. DO NOT wash until you are ready to use. This low-carbohydrate vegetable offers 20 calories per cup, sliced, 0 g fat, 4 g carbohydrate, 3 g sugar, 1 g protein, 1 g dietary fiber and 10 mg sodium. Zucchini is an excellent source of vitamin C and a good source of other essential micronutrients, such as molybdenum, vitamin B6 and manganese. Summer squash is one of the best food sources of various carotenoids (antioxidants found in dark green/orange veggies), such as alpha- and beta-carotene, lutein, zeaxanthin, and beta-cryptoxanthin. Supporting healthy eyesight, offering anti-cancer benefits and supporting blood sugar metabolism are just three of the many health benefits of this nutrient-dense veggie. Eat raw (as a snack or on top of a salad) or slice and steam to retain the most nutrients (skin-on). Zucchini can be frozen, but doing so will soften the flesh…however, frozen summer squash actually retains its antioxidant content (potency) very well. You can find recipes for zucchini bread, cake, muffins, etc. What about something different and super-easy? Cut your zucchini length-wise in 1/4″ slices. Brush lightly with olive oil and grill seasoning (and/or seasonings you like). Grill (on a pre-heated grill) until tender, about 3-4 minutes per side!